Scotland's is often said to have the world’s finest larder, and it's actually pretty hard to disagree. The fantastic thing about good quality produce is that you don't need to do too much to it, you can let the ingredients speak for themselves, so that's what we’ve done with this recipe but you don’t have to be from or based in Scotland to enjoy it! We’ve taken a handful of great Scottish Ingredients and rustled up a fantastic meal fit to grace any dinner table. 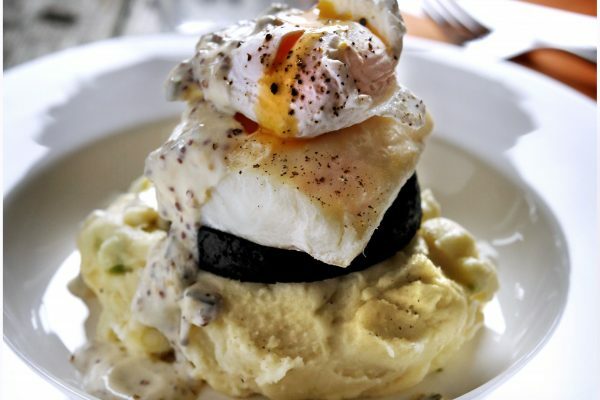 The recipe is smoked haddock with black pudding sitting on a bed of mash and topped with a poached egg and a light mustard sauce, sounds amazing doesn’t it? 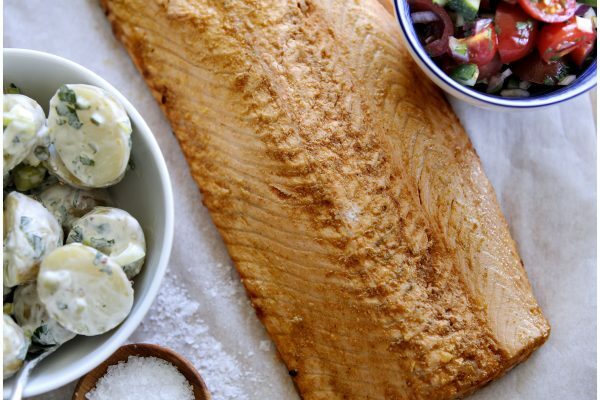 We recommend you try and buy undyed smoked haddock and not the bright yellow stuff which has been dyed, and go for a good quality black pudding, there’s a pretty famous one that’s produced in the North of Scotland that will fit the bill for this recipe! Cook the potatoes in boiling salted water until tender, drain and then return to the pan, cover with a clean tea towel and place over a very low heat to dry. Mash the potatoes until smooth then beat in the butter and cream, season to taste with salt and pepper and mix in the spring onions. Heat the crème fraiche in a pan then add the mustard, chives, lemon juice and season to taste with salt and pepper. Grill or fry the black pudding for 2 minutes on either side. Place the haddock in a pan with the milk, white wine, bay leaf, peppercorns and onion, bring to the boil then simmer very gently for no more than 5 minutes, remove the fish from the milk. Poach the eggs in a gently simmering pan of salted water with a splash of white wine vinegar added until cooked but still soft, around 4 minutes. Put equal amounts of mash on 4 plates and top each one with a slice of black pudding, a piece of smoked haddock and then a poached egg then drizzle over the mustard sauce. If you’re not a big fan of either fish or black pudding them maybe you would like to try this alternative, still using great Scottish ingredients!! Make the sauce and the mash the same as in the main recipe but make a couple of changes after that. Instead of using smoked haddock get yourself 4 free range chicken breasts, skinless and boneless is ideal and wrap them in some bacon. Cook the chicken in the oven at 200’c for about 16-20 minutes depending on the size of the chicken breasts. Grill or fry slices of haggis as you did the black pudding and serve everything as per the main recipe – still fancy the poached egg? Go on then! 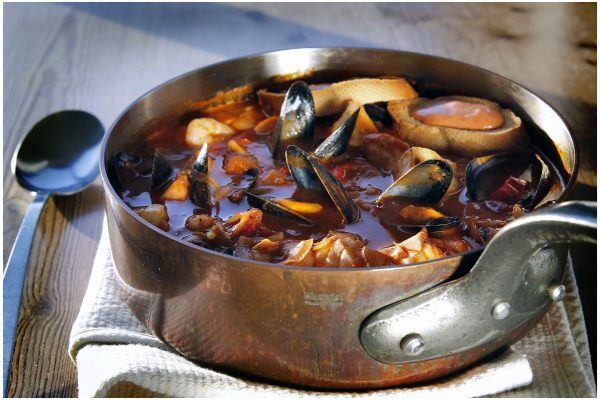 Our summer seafood stew is a beautiful light stew, with a mix of fish and shellfish in a tasty tomato and stock base.